Here's the Faery Berry Dress! It's fitted down to below the bust, with a flattering seam - and a tie to pull it tighter should you wish, with a full skirt and an off-shoulder neckline complimented with pretty little sleevelets! 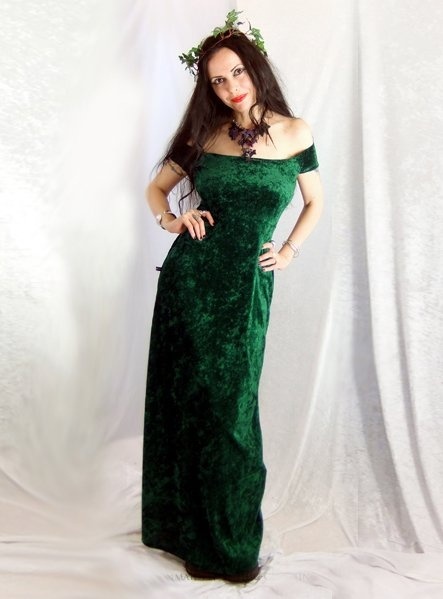 It's shown here in Forest Green, and comes in all of our normal velvet shades; and is only available, of course, from Moonmaiden Gothic Clothing!